At this year's Prizmah Conference we want you to identify your dreams, and we also want to give you the tools and the space to learn how to turn those dreams into a reality. We are thrilled to share some of the unique and transformative highlight experiences that we're planning for the 2019 Prizmah Conference. 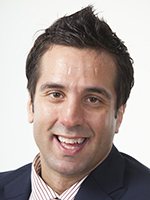 George Couros, author of "The Innovator's Mindset" will headline our opening session. George will get our creative juices flowing and help us to tap into the strengths of our learning community. These five speakers have been making waves in Jewish education by daring to dream of something bigger than themselves. Get ready to see them in a whole new light and hear the stories that got them from point A to B.
Dr. Erica Brown is an associate professor at George Washington University and the director of its Mayberg Center for Jewish Education and Leadership. She is the author of twelve books on leadership, the Hebrew Bible, and spirituality. Jane Taubenfeld Cohen is a leadership coach who works primarily with leaders in Jewish day schools to leverage their unique talents and skills. Rabbi Michael Cohen, “The Tech Rabbi,” is a designer and technologist turned educator. He currently serves as the director of innovation at Yeshiva University of Los Angeles Boys School, where he’s focused on scaling a student-driven entrepreneurial studio. Rebecca Lurie is the head of school of the Solomon Schechter Day School of Greater Boston. She creates and sustains vital change by investing in talent, culture, and strategic thinking. Rivkah Schack is on a mission to restore the "whole child" to the central focus of Jewish education. She is the head of school of Lamplighters Yeshivah in Brooklyn, NY and the co-founder of a progressive boys Mesivta at Lamplighters. 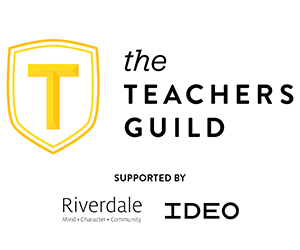 We are thrilled to partner with The Teacher's Guild, an initiative of IDEO and the Riverdale Country School to create a design thinking experience at the heart of the conference. In 2011, they created the Design Thinking for Educators Toolkit which has 100,000+ downloads to date. Today they work with dozens of schools and districts around the country to activate educators to think and act like designers through community, tools, and coaching. The Guild will facilitate a full-conference design sprint that will inspire educators and give you the tools to problem solve the questions that matter the most to your students and schools. Distant Cousins is an LA based folk/pop trio comprised of 3 ‘nice Jewish boys’ from NJ, Baltimore, and Israel. Having met years ago when their bands Moshav and Blue Fringe often overlapped, the singers, songwriters, and producers formed Distant Cousins in 2013 and have since had their music featured in films like “This Is Where I Leave You,” commercials for brands like Macy’s, movie trailers for “Daddy’s Home” and “How To Train Your Dragon 3,” and on countless tv shows. 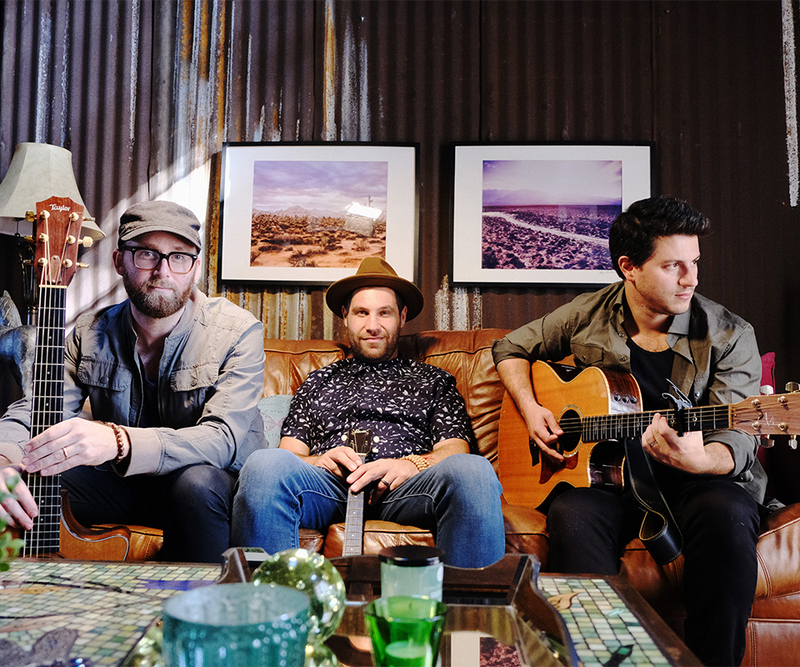 Their new album, ‘Next of Kin,’ was recently released via Jullian Records and has already garnered words of praise from music critics, Jewish newspapers and from Hollywood's famous record store, Amoeba Records: "Filled with infectious hooks and floor-stompin' riffs, the album feels familiar, warm, and alive with excitement. It's the sound of backroads and big dreams. It's the sound of sing-a-long-ready choruses, the type of knees up indie-meets-country jamboree that keeps folk who love the Lumineers and Mumford & Sons coming back for more. Basically, it's the sound of your new favorite band." We'll close the conference with an inspiring call to action, and with techniqes and strategies to build your network and apply what you've learned to your own context. More information coming soon! critics, Jewish newspapers and from Hollywood’s famous record store, Amoeba Records: “Filled with infectious hooks and floor-stompin’ riffs, the album feels familiar, warm, and alive with excitement. It’s the sound of backroads and big dreams.